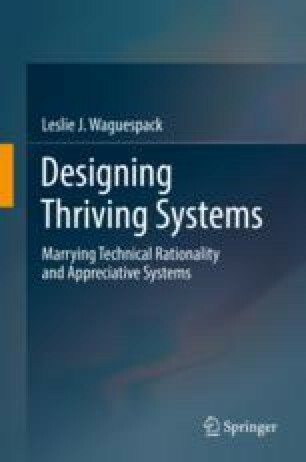 The discourse on design of thriving systems has thus far focused on the foundation of theory that examines the neurological, psychological, and sociological context of design – the case for metaphor’s essential role in ideation. To assume a practitioner’s perspective, a pragmatic perspective on design, our focus shifts to the palpable steps that distinguish the reflection-driven design recipe. Indeed, as part and parcel of reflection-driven design, the design team must identify and conceptualize the fixed and mutable elements of their design space. These elements include the environment, the intensions, and the medium of construction. These elements will be understood and valued based upon a shared expectation of design quality rooted in their composite appreciative system. To demonstrate some palpable detail, this chapter presents five example design spaces each depicting a special ontology that enumerates a paradigm relevant to information systems development. Each respective ontology defines a design space as the domain of possible structural and behavioral choices available to the designer(s).